Tottenham Hotspur bounced back from the 4-2 defeat they suffered at the hands of Barcelona while Cardiff's woes deepened. Cardiff City’s Premier League woes continued as they dropped to the bottom of the standings and had a man sent off in a 1-0 defeat by Tottenham Hotspur at Wembley Stadium on Saturday. 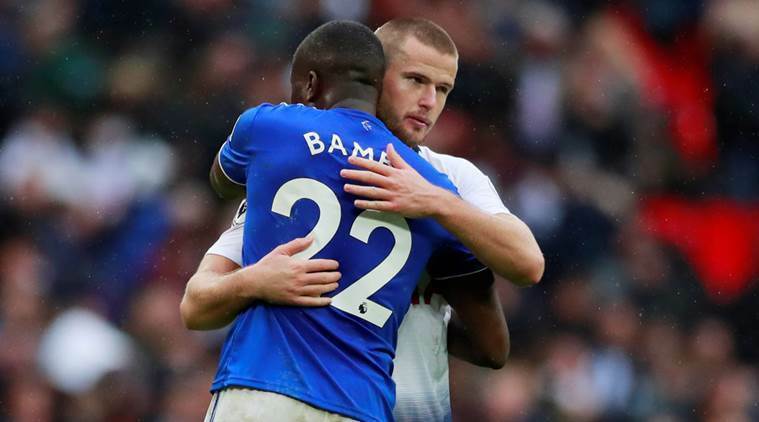 Eric Dier scored his first league goal since April 2017 after eight minutes when a Davinson Sanchez header was blocked and the ball fell for the Englishman to tap in from six yards out. Son Heung-min and Lucas Moura missed good chances to extend Spurs’ lead before halftime as a nervous energy began to take hold of the home crowd. Cardiff created chances and came close to equalising in the second half when Josh Murphy raced through and lifted the ball over Spurs goalkeeper Hugo Lloris, making his first Premier League start since August. However, defender Toby Alderweireld was able to clear off the line. Neil Warnock’s side, looking for their first win of the season, were reduced to 10 men in the 57th minute when Joe Ralls was sent off for a cynical lunge on the lightning-quick Moura. Spurs failed to take advantage of the extra man, perhaps still looking a bit shell-shocked from their 4-2 defeat by a Lionel Messi-inspired Barcelona in the Champions League on Wednesday. But they saw out their third successive league victory which took them to third in the standings, within a point of leaders Manchester City who face second-place Liverpool on Sunday. “After Barcelona on Wednesday, the most important thing was to win,” Spurs manager Mauricio Pochettino said. “I think we fully deserved to win, we created a lot of chances, (but) we didn’t kill the game. At the other end of the table, the situation looks bleak for Cardiff who only have two points from eight games. Manager Warnock was pleased with his team’s performance but was frustrated with the sending-off, and accused Tottenham’s players of influencing the referee’s decision. “I thought Mike Dean, experienced referee, was going to give a yellow card right from the start… I’ll be very surprised when I speak to him if he would’ve given the red card (without influence), because I think he was wrong. He was wrong,” Warnock told Sky Sports.